But before the days of the DCEU and CGI mustaches, there was merely a standalone Superman movie and it was a quite good one: Man Of Steel. Despite what Warner Bros. will have you believe, I remain ardent about the idea that they never originally intended for Man Of Steel to be the launchpad for an entire cinematic universe and only made the decision retroactively. Let’s take a few quick revolutions around the Earth to wind time back and show you what I mean. Development of Man Of Steel began in 2008, Zack Snyder signed on as the director in 2010, and principal photography began in August 2011. While the Mandela Effect may trick you into believing Man Of Steel was a response to Iron Man and the MCU, that wouldn’t have been possible as there really was no Marvel Cinematic Universe yet. Man Of Steel was only turned into a “universe” movie after it hit theaters. 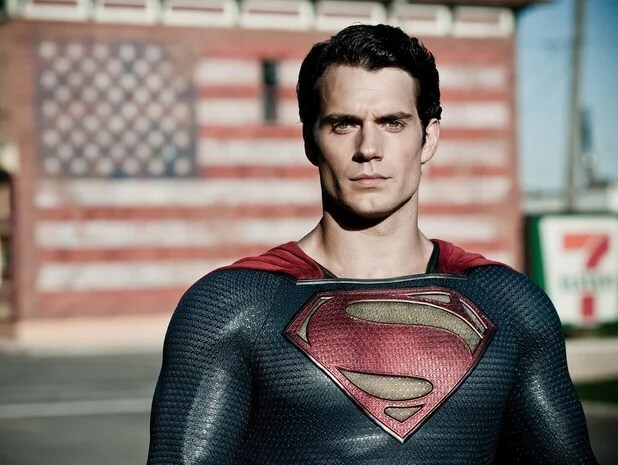 When production on Man Of Steel began, there were only five movies under Marvel Studios’ belt: one excellent (Iron Man), one good (Captain America: The First Avenger), and three average (Thor, The Incredible Hulk and Iron Man 2). The point is that shared universe building was far from a proven commodity at this time, meaning DC was in no rush to copy Marvel’s blueprint. So, while history may suggest that DC was attempting to emulate Marvel’s success, a closer look tells us they were actually trying to recreate their own. Off the high of The Dark Knight trilogy — which, at the time, was the premiere comic book movie franchise — DC was aiming to Nolan-ize Superman: how would this character look, feel, and act in the real world? And with Man Of Steel, they largely succeeded. The issue with Superman is, was, and always will be: what’s the interest — the conflict — in an immortal alien with a perfect jawline? He hides in plain sight and is impervious to pain. He can fly around the Earth and into the stars. He can melt steel with his laser vision and freeze raging fires with his ice breathe. How do you make that guy a layered, complex character? And with Man Of Steel, DC found the answer: who was the boy behind the out-of-this-world hero? While Kal-El may be an alien, Clark Kent is very much a human, and that’s what Man Of Steel was all about: what happens when you test the mental and emotional strength of a being that cannot be challenged physically? What happens when an out-of-place child is beaten up by bullies when he knows he can’t fight back? What happens when a teenager has to decide between keeping his greatest secret and the lives of his classmates? What happens when an alien falls in love? Simply put, Man Of Steel was a meditation on what it means to be human in both idea and execution: despite it’s grey and gloomy overtones — as life has — the film echoed and reverberated a sense of endless optimism — as life should. Because Man Of Steel is forever technically — and unfortunately — part of the DCEU, the masses will ultimately judge it by the lack of success the universe has had since. But if you look closer — some might even say with x-ray vision — you’ll find that at its core, Man Of Steel was a beautifully shot and scored film that was simply about a regular guy with extraordinary gifts trying to be decent and fit in with the rest of us. It just so happens that regular guy was an alien was named Superman.